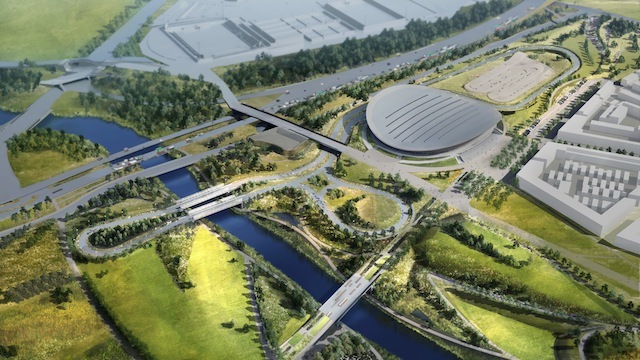 The Lee Valley Regional Park Authority has started its search to find a venue manager for Lee Valley VeloPark, which will open early next year. Sitting within the Queen Elizabeth Olympic Park in Stratford, and with the London 2012 Velodrome and BMX track at its heart, the facility will also include a one-mile road racing circuit and mountain bike trails as it seeks to become the world’s leading cycling hub. The position, which is being billed as “the dream job for one of us”, will involved working closely with British Cycling, the London Legacy Development Corporation as well as local clubs, schools and community groups to ensure the full potential of the exciting venue is fulfilled. Development work to transform the site is already underway, with the VeloPark scheduled to open in early 2014. It is hoped that the final Revolution track meeting of the 2013-2014 season will take place next January inside the iconic Velodrome, which has also been chosen as the venue for Britain’s bid for the 2016 Track World Championships. Lee Valley VeloPark: four cycling disciplines brought together on one site.